Cabling can be difficult to manage and can impede hot air pathways meant to disperse heat. As a result, data center managers must find ways to improve the efficiency of hot and cold air distribution. 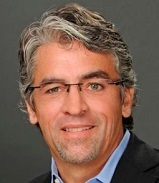 Kevin Ehringer is the Founder and Chief Technology Officer for Data Center Systems (DCS). Data centers in the U.S. consumed roughly 70 billion kilowatt-hours of electricity in 2014, according to a study conducted by the U.S. Department of Energy and researchers from Carnegie Mellon University, Northwestern University, and Stanford University. While data centers draw a substantial amount of power to run their servers, switches, directors, storage devices, and other equipment, the study revealed that energy consumption in 2014 would have neared 110 billion kWh of electricity had it not been for energy efficiency improvements that have emerged in recent years. These days, a heightened awareness of data center infrastructure operations has led to engineers designing new products that perform at greater rates but are more energy efficient. While these innovations play a key role in lessening a data center’s carbon footprint, they’re only part of what makes a data center more environmentally friendly—structured cabling is a part of the equation organizations might be missing. Cabling can be difficult to manage and can impede hot air pathways meant to disperse heat. As a result, data center managers must find ways to improve the efficiency of hot and cold air distribution. Luckily, the simple steps below can help data center managers do just that. Cable dams—a common problem of unmanaged cable—can cause a host of negative consequences. For starters, cable dams can block cold air intakes on equipment, causing the hardware to overheat and possibly fail. Dams can also block hot air from exiting the cabinets into hot aisles, and can cause hot air to disperse into cold aisles—leading cooling systems to work harder while being less efficient. According to IBM, cabling infrastructure improvements, such as removing cable dams, can result in anywhere from 15 percent to 40 percent in energy cost savings. Preventing cabinet congestion, enhancing air flow, and facilitating more efficient cooling are just a few benefits to switching to smaller density cables, which are much lighter and more flexible than their bulkier counterparts. A major factor in creating an energy-efficient data center: horizontal and vertical cable managers, which prevent blockage of airways to equipment, ease installation and connectivity to new equipment, contain slack from longer cables, define cable routing paths, and save time during moves, adds, and changes (MACs). By filling your extra cabinet space with blank panels, you ensure that hot aisles are separated from cold aisles. The result? The elimination of hot air mixing with cold air, which causes an increase in energy usage. It is important to minimize the amount of fiber channel devices and patch panels in a single cabinet so that you limit the amount of terminations. This allows for less cabling—which could potentially block air flow—in and around the cabinet. Pre-terminated director trunks ensure superior performance since they are manufactured to specifically fit fiber channel switching modules in today’s most popular director-class switches. Each leg of the trunk should be staggered to fit each port and eliminate slack in the cable, preventing cabinet congestion while enhancing air flow. Cabling infrastructure plays a pivotal—but often overlooked—role in designing data centers to be more environmentally friendly. By employing these steps, data center managers will not only pave the way for a more energy-efficient data center, they’ll likely also see an improvement in their ROI and TCO.